Apparently Birds of Prey just wasn’t catchy enough. Warner Bros. has decided on a new name for the 2020 entry in the DC Extended Universe. The film is now titled Birds of Prey (and the Fabulous Emancipation of One Harley Quinn). You can check out the studio’s announcement via Twitter below. The parenthetical addition to the title appears to be inspired by the likes of Birdman or (The Unexpected Virtue of Ignorance) and Dr. Strangelove or: How I Learned to Stop Worrying and Love the Bomb. What’s unsurprising is that the film seems to be largely banking on the involvement of Margot Robbie’s Harley Quinn. Robbie has made quite the name for herself thanks to her acclaimed roles in 2017’s I, Tonya and this year’s Mary Queen of Scots. From a marketing perspective, her character sharing top billing with the superhero team makes a lot of sense. 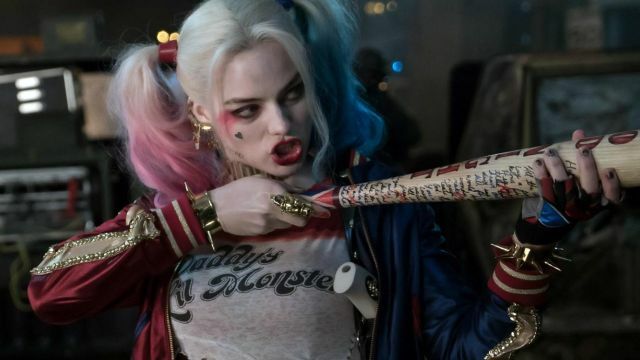 The title also indicates the film’s intention to prove that Harley can be a compelling villain or anti-heroine without playing second fiddle to the Joker, portrayed by Jared Leto in Suicide Squad. This could potentially pave the way for her own spinoff in the future. Directed by Cathy Yan, Birds of Prey (and the Fabulous Emancipation of One Harley Quinn) marks the first time a superhero film has been helmed by an Asian woman. Following the breezy one-two punch of next month’s Aquaman and 2019’s Shazam!, it will return the DCEU to familiar dark territories as the shared universe’s first R-rated movie. Ewan McGregor’s Black Mask is confirmed to be the primary foe, but Harley Quinn’s motives are not as easy to pin down. Rumor has is that she’ll be teaming up with Mary Elizabeth Winstead’s Huntress and Jurnee Smollett-Bell’s Black Canary. Birds of Prey (and the Fabulous Emancipation of One Harley Quinn) arrives in theaters on February 7, 2020. What do you think of the film’s new title? Give us your take in the comment section below!